As we head into the warmer months, approaching that sweet heat of Summer, it’s time to get the senses stimulated with some seriously irresistible recipes. 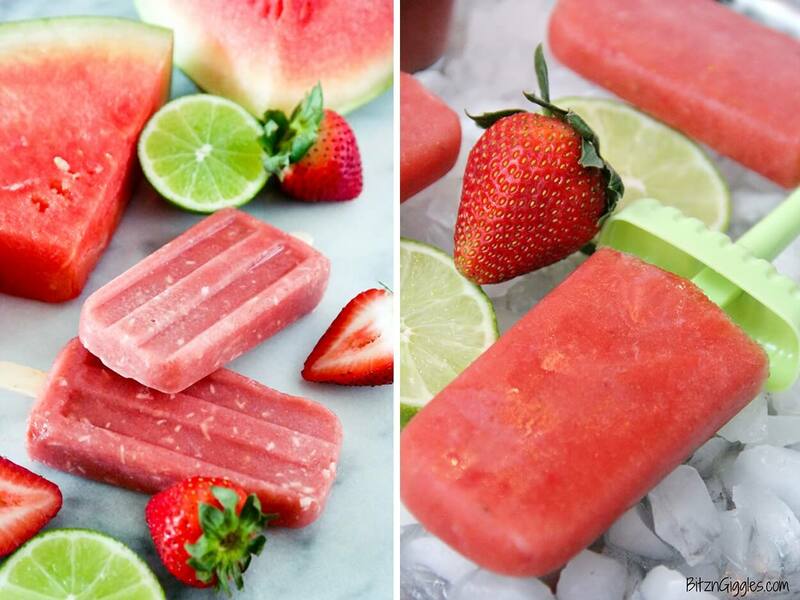 Getting ahead of the cravings, we just had to share these healthy, alternative popsicle recipes. Fun to make with a gorgeous look to them, they’d be a great addition to any summer party. 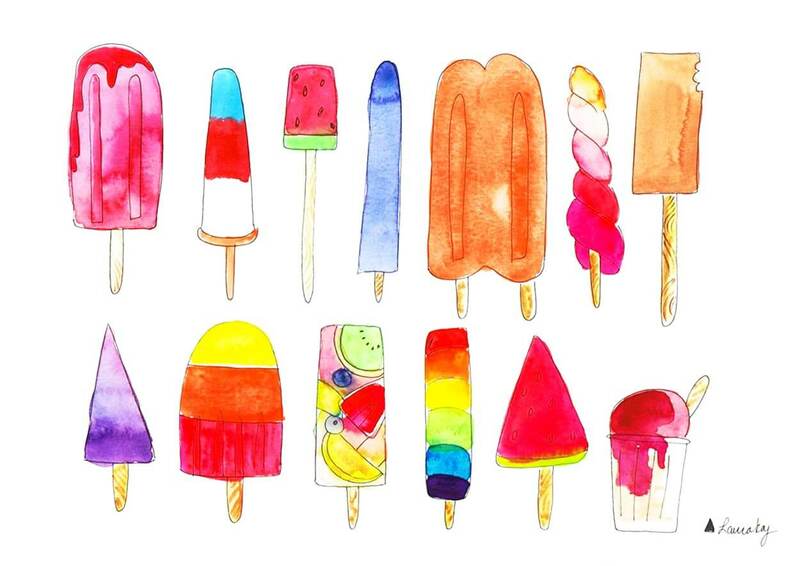 Making popsicles is also a brilliant activity for kids, working as both a fun afternoon, and a teaching tool that proves healthy eating is delicious and worthwhile. There’s really no need to cut out the best Summer snacks in order to avoid all the artificial chemicals and immense amounts of sugars. 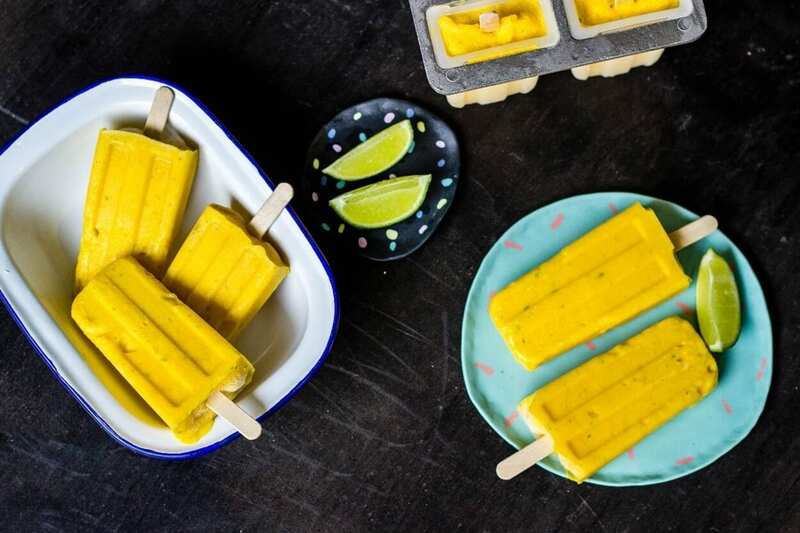 These popsicle recipes don’t only serve to ditch the harmful ingredients, but also incorporate legitimate nutrition. Be nourished whilst you enjoy a cooling, lip-smacking, popsicle delight without all the guilt! 2 cups watermelon, chopped and pipped. Blend together, in a blender or food processor, adding water if the mixture is too sweet for you liking. Pour into ice popsicle moulds and freeze for 4-6 hours. Good Golly! 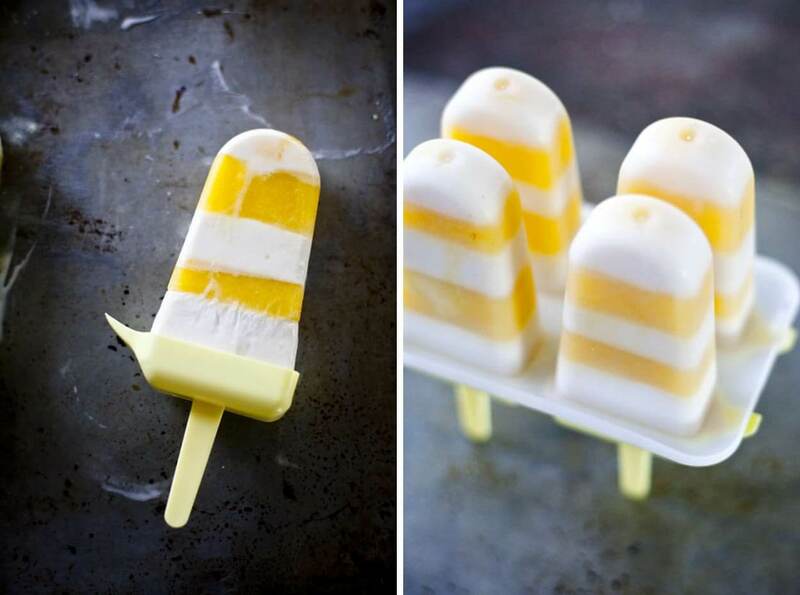 Mango & Lime Lolly! Place mango, lime zest, lime juice and coconut milk in food processor or blender and pulse until well combined. Pour mixture into popsicle moulds and freeze overnight for best results. To remove from popsicle moulds with ease, run under warm water for a few seconds. In a small bowl, mix together coconut milk, maple syrup and vanilla extract and set aside. In a separate bowl, mix together orange juice and orange/lemon zest and set aside. To layer, divide a quarter of the coconut mixture into the popsicle molds and freeze until hard, about 30 minutes. Add orange juice layer and freeze again. Repeat until all of the coconut milk and orange juice is used up. Alternatively, simply mix the orange juice and coconut milk together, pour into the molds and then freeze until solid, several hours. We opted to go the pretty (versus practical) route and freeze individual layers, but this takes some time and makes the creamsicles more likely to break apart at the “fault” lines. 1 handful of organic edible flowers, rinsed with petals plucked (we’re using just the petals). Combine water, orange blossom water and lemon juice, add sweetener to taste. Pour the mixture into the moulds and freeze for 1 hour. Remove from freezer and add flower petals, pushing them with a popsicle stick to desired areas. Add sticks and freeze popsicles once again for an additional 2-3 hours or longer. Slice lemon in half and squeeze it over a strainer into 2 cups of cold water. Sweeten lemon water to taste with your favourite sweetener. Fill popsicle moulds 2/3 with lemonade and freeze uncovered for about 1 hour. Take popsicles out of freezer. Scrape and stir any ice crystals that have formed. 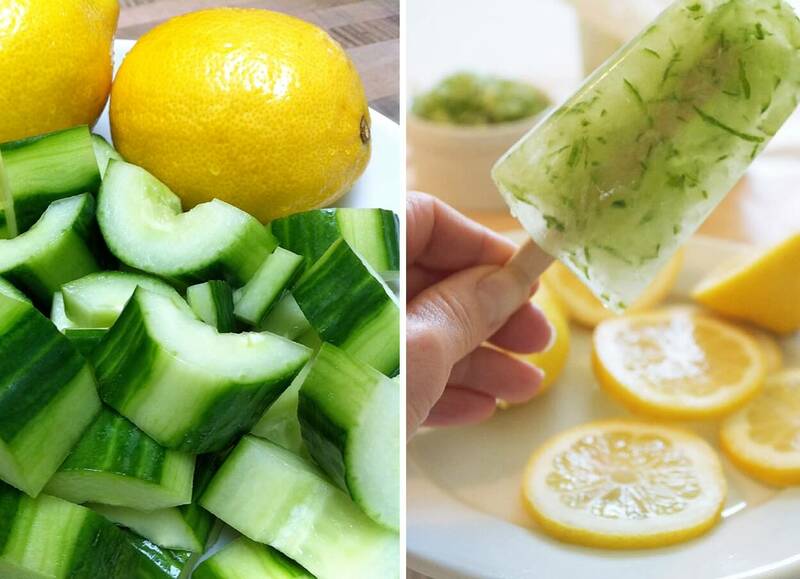 Add a spoonful of the julienned cucumber to the popsicle moulds. Be sure to leave a tiny bit of room at the top of your mould so they don’t overflow when you add the stick. With a popsicle stick or a butter knife, press the cucumber into the mixture so it is evenly distributed. Add your popsicle sticks and then freeze popsicles for another 3-4 hours until solid. Set yourself up for success with our diplomas that are accredited in 26 different countries. Getting qualified at our school is a completely stress-free process and involves no deadlines, no start-up expenses and no need for travel. As our learning facility is entirely online, it’s up to you to study at a pace and location that best suits your needs. Now that’s what we call a holistic education! Contact usfor more information. We’d love to hear from you!